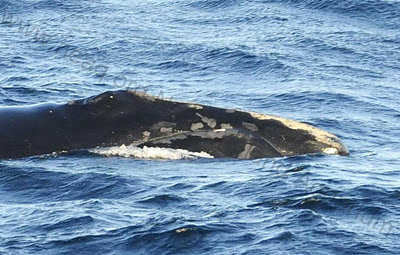 As some of our faithful readers will remember, in November 2010 we made our first shipboard survey out to the suspected right whale mating ground near Jordan's Basin. The winter is a challenging time to do shipboard research in the northeast with cold temperatures and weather fronts that line up and quickly push through like eager Christmas shoppers at the check out line. Even with these challenges, last winter we were able to do 3 of our 4 planned trips to the area. Since we weren't able to perform the 4th trip at the time, we have been looking for a weather window this late fall and winter to finish up. Well, on December 13th, everything lined up and we completed our 4th trip. 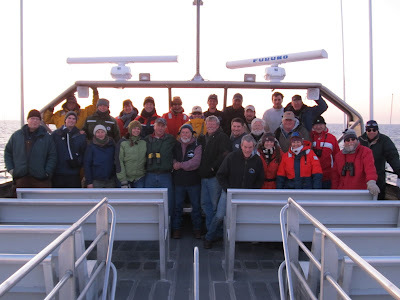 Our research crew drove up to Bar Harbor the day before and arose at 3:30 the next day to make the most of our one day at sea ("early bird catches the worm" and all that- not that we saw any early birds that morning)! The seas were a bit lumpy as we headed out in the dark aboard the M/V Friendship V, but thankfully calmed down for the middle part of the day before changing directions and increasing again (another one of those darned eager shoppers coming through)! We were fortunate to have a host of volunteers from many different agencies on board to help with the spotting. 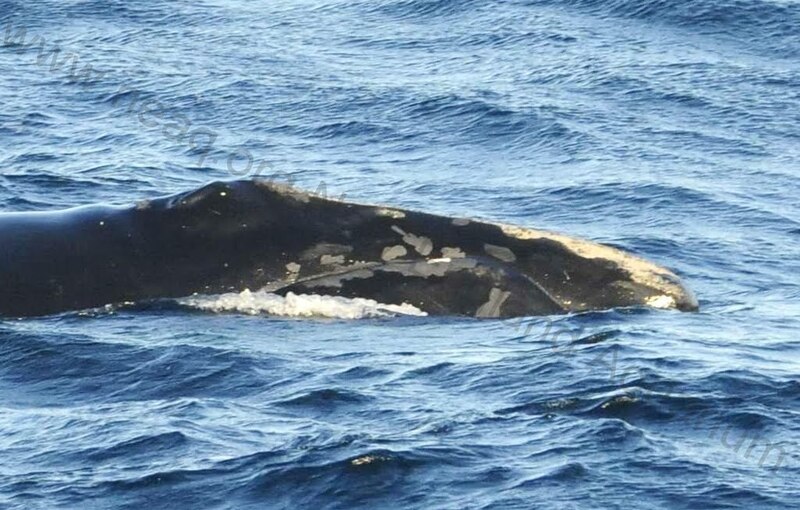 Now the really exciting news- almost all the whales we saw that day were reproductive adults. All seven females have given birth before and should be getting pregnant now (they have had at least a year of rest since they weaned their last calf). 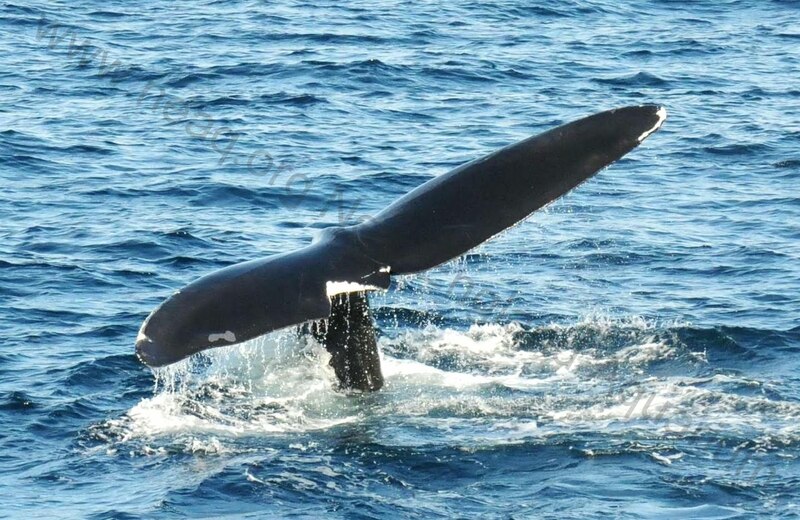 And most of the males were big old males (some dating back to the early 1980's or before) that have sired calves previously (we know this only thanks to the good work of the geneticists at Trent and St. Mary's Universities in Canada). In most habitats, we see a mix of juveniles and adults and, with more than a third of the population being juveniles, we expect to see quite a few young animals in most habitats. The fact that we saw almost none means the habitat we surveyed is a resource fit only for adults; sounds like mating to me! We covered quite a bit of ground that day and ended up near Cashes Ledge- 80 nautical miles from the dock at Southwest Harbor, Maine. We are excited about our findings and eager to get back out there next year- funders willing. There is still more to do in the area- especially the detailed documentation of their courtship behavior (we saw none on this particular trip) and the collection of poop for hormone assessments to see how the levels in both males and females change during the time of peak conception. We will be lucky to observe either of these and simply need to be in the right place at the right time. Until we are able to retun to the area, we will have to wait to see what the females we saw do. In 12 months, we hope to see many of them off the southeast US with young calves! Stay tuned. Happy Holidays and thank you to our supporters: Maine Department of Marine Resources, Canadian Wildlife Federation and TD Financial Group Canada, Canadian Whale Institute, and in kind support from the Bar Harbor Whalewatch Company and Ocean Properties.